NYC Places to Elope is a common search question on our website. You came to the right people for NYC elopement ideas. We have experiences with thousands of couples eloping in New York and have amazing elopement packages that you can book in just a few seconds. Imagine, your entire wedding planned in just a few easy clicks. That’s the beauty of elopement. Eloping is simple, elegant, and affordable. 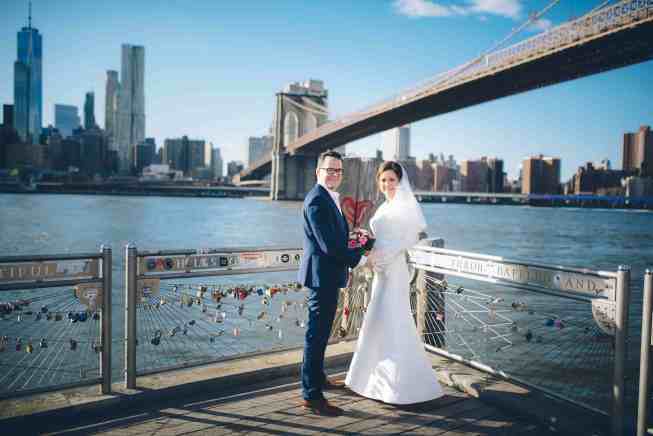 The best thing about eloping in New York City is that there are so many great places to have a ceremony. Some of our favorite places include Central Park. A Central Park elopement is absolutely magical. Every season of the year is beautiful. From the twinkling holiday lights to tulips in April, you are sure to have amazing elopement photographs. The architecture of Central Park provides a timeless and elegant historical vibe. 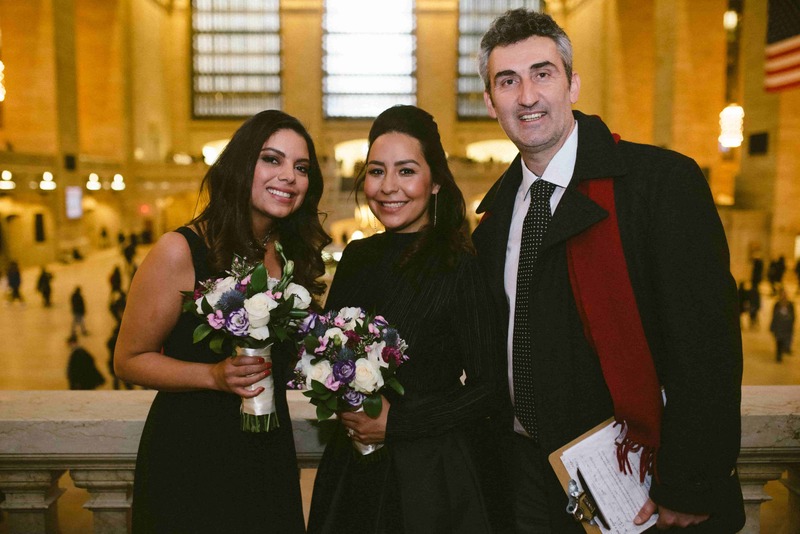 Grand Central Station is a fun, indoor option for a NYC elopement. There is nothing quite like the interior of Grand Central Station and guests just love gathering at this major historical site in NYC. Head to the top of the Empire State Building if you are a romantic movie fan. We promise adventure and fun as we make our way to the top of the most iconic building in NYC carrying wedding bouquets. Book today and let’s start dreaming. We really look forward to making your NYC wedding dream happen. waiting time before our ceremony. There will be just the two of us, and we are thinking more along the lines of Black & White; and probably taking the USB option.